A third party custody case is not an easy one to win. Before petitioning for custody of biological or non-biological children, you should be aware of your state's statutes on child custody. Third party custody is when someone other than the biological parent of a child has parental rights. This could be someone who is a biological relation to the child such as a grandparent, aunt or uncle, or it could be someone with a non-biological relationship such as a stepparent or a family friend. It's important to know that a parent's financial situation does not affect the court's decision on what's best for the child. Unless the parent neglects the child, there is no reason why the parent cannot receive state/government financial aid to adequately care for the child. 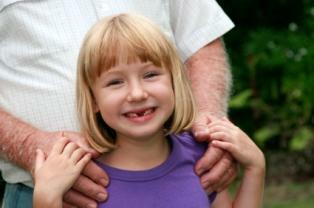 Many cases involve grandparents who want to have custody of their grandchild. A grandparent does not have a higher chance of winning this case just because of the biological relationship to the child. The biological parents always come first if they are fit to be the child's caretaker. The only time that grandparents may have some sort of leg above the parent is if the child has lived with them for a long time and the grandparents can claim they have physical and psychological custody. However, again, the grandparents must prove what is in the best interests of the child and that the parent(s) are either unfit or unwilling to care for the child. Custodial rights for third parties vary between states. Unfit parents may be granted visitation. However, sole custody means that the custodial parent makes all decisions governing the child and the child is legally theirs. If you believe you would be a good candidate to be custodial parents to a child whose parents are unfit or unwilling to care for him/her, it's best to contact an attorney. You'll need someone who can prove that the parents are unable to care for the children and explain what the laws are for your particular state. If you are interested in researching some of the statutes in your state on third party custody, visit Lawyers.com and choose your state. A child and parent have a unique bond that others cannot replace. If you are looking for custodial rights for a child because you believe you would be a better parent than the child's biological parent, consider how you can help the parent rather than try to deprive the child from his/her natural caregiver.